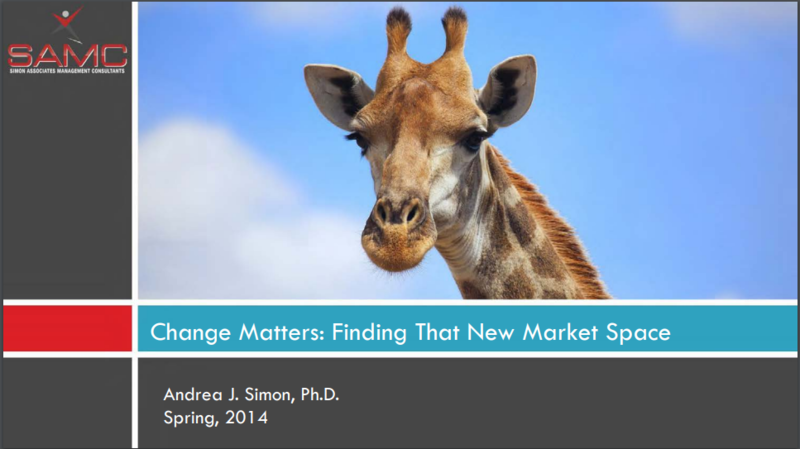 LP Request for workshop download: "Change Matters: Finding That New Market Space"
Thank You for your interest in the SAMC Blue Ocean Strategy® Workshop! At SAMC, we are trained practitioners in Blue Ocean Strategy, having conducted over 200 workshops and worked with a variety of clients in a wide range of industries. We specialize in helping organizations find blue oceans and avoid red ones, thereby finding and owning uncontested market space. This workshop gives you all the details! We'd like to help you find your Blue Ocean Strategy. Please contact us so we can get started!